It's always interesting to walk small streets in Singapore and discover new things. 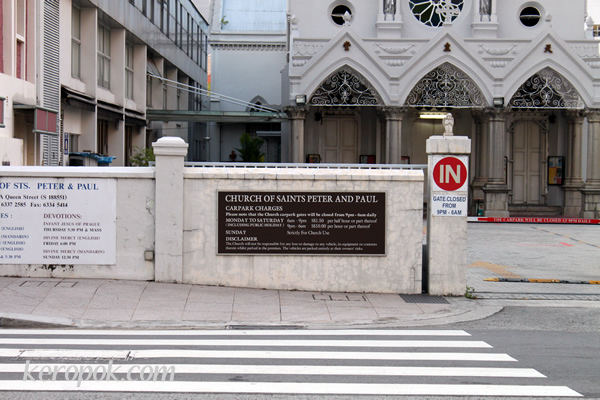 I was walking Queen Street and discovered this Catholic Church. I never knew about her history or existence until I did an online search about it. This church building with its tower was constructed between 1869 and 1870! That is how old this building is! According to this wikipedia entry, Napoleon III of France contributed to part of the building of this church too! A few months ago, I visited Basilica Papale di San Pietro in Vaticano / St Peter's Basilica in Vatican City and was so amazed by it. It's amazing how such a huge Basilica can be built in the olden time without modern machinery. I am suddenly interested in the architecture of Catholic churches. One of these days, (though I am not Catholic) I shall attend one of the mass here to see how the Catholics worship God. 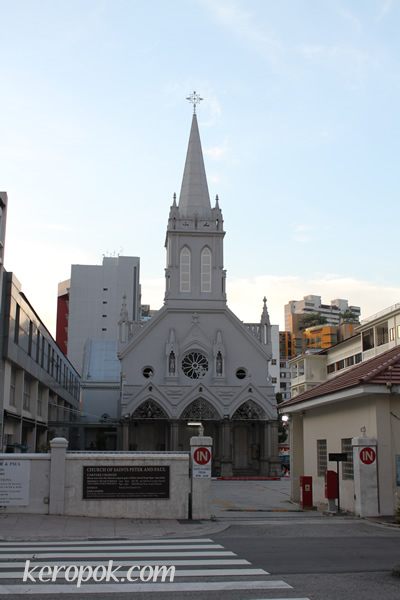 This church is said to be the 'Mother Church' of all the Catholic churches in Singapore. Interesting!